Asset allocation refers to the establishment of relative percentage allocation guidelines for the investment of assets in equities, fixed income, alternative investments, cash equivalents, and other general forms of investment. 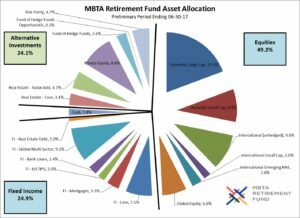 In terms of direct, long-term impact on the Fund’s risk-adjusted performance, the Fund’s asset allocation strategy outweighs all other decisions. Although they are important, portfolio structure decisions and active management strategies involving security selection, sector weighting, or market timing have been found by industry research to contribute less to long-term portfolio outcomes than do asset allocation decisions. 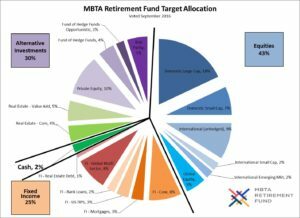 Factors the MBTA Retirement Board considers in establishing the Fund’s asset allocation strategy include the Fund’s assumed rate of return, risk tolerance of the Board, Fund liquidity requirements, liability structure and other characteristics unique to the fund. 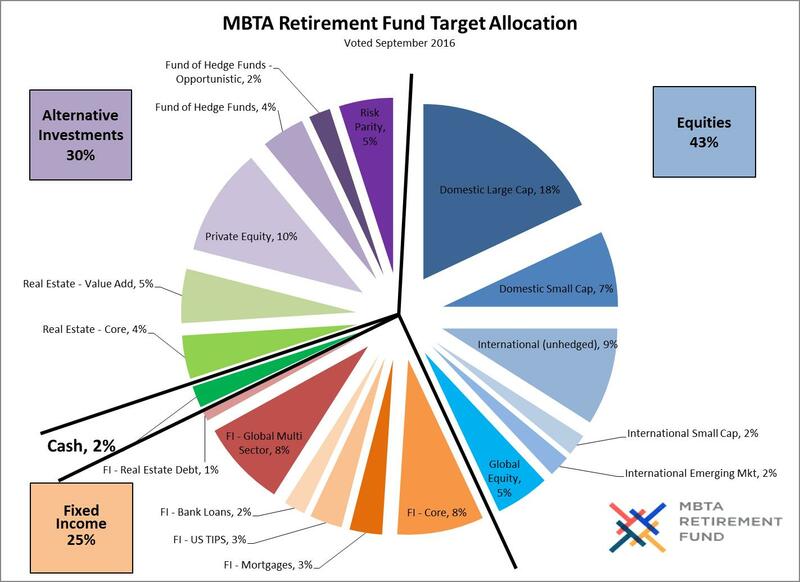 The Board reviews the Fund’s asset allocation targets at least annually, and may adopt changes over a three- to five-year time horizon or, more frequently, if significant changes occur within the economic or capital market environments. A change in the Fund’s liability structure, funded status, or long-term investment prospects may also trigger a revision of the asset allocation. 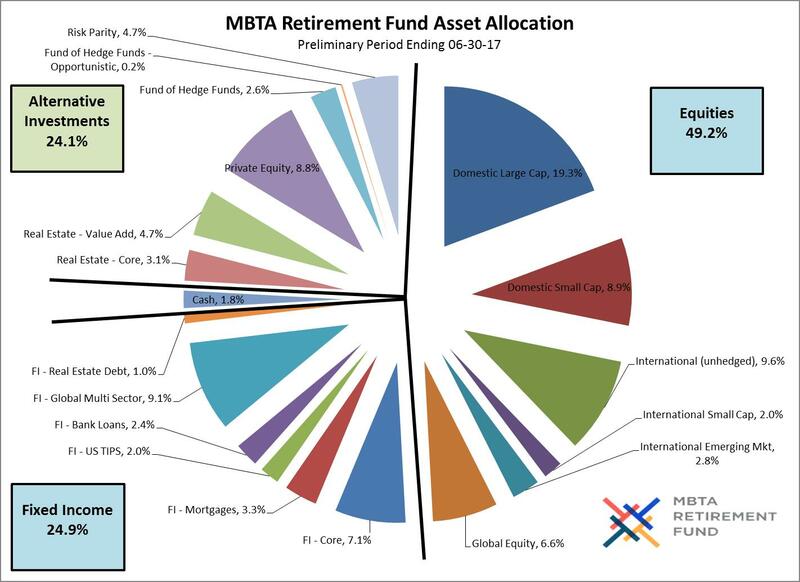 To incorporate potential changes to the Fund’s liability structure into long-term asset allocation decisions the Fund conducts periodic asset-liability modeling studies that integrate inputs from the Fund’s actuary and independent investment consultant.